Keeping our families healthy is always a top priority, especially once school starts. So you might be surprised to know that the EPA and American Lung Association estimate that the air inside your home is anywhere from 7 to 100 times more polluted than the air outside. During house construction, small holes are drilled to run plumbing, wiring, skylights, TV and other cables as well as heating and air conditioning ductwork. These small holes collectively equal a hole the size of a basketball. Imagine that in your living room wall! These holes create a direct air exchange between the attic and living space, allowing unwanted pollutants to circulate into the home and at the same time wasting valuable energy. You would never consider breathing the air from your attic or crawl space as your primary air source but that is exactly what is happening. Using a child’s drawing to illustrate the point, this creates a direct air exchange between the attic (the triangle) and living pace (the square,) allowing unwanted pollutants to circulate through your home and wasting energy. When your house was built many small holes were drilled to run all of the pipes, wiring, etc. The solution is simple, separate the square from the triangle by sealing your holes and ductwork. The result will be a healthier and more energy efficient home. Getting started is easy. Choose an audit company, such as Washington Energy, who is committed to providing only the highest quality audits. The first step would be a 26 point home comfort and energy assessment. 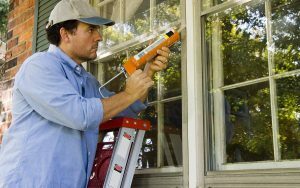 Also known as a home energy audit, this is not just a walk through with a clip board. Expect the auditor to be there for 3 hours conducting detailed tests and inspections. (It’s fun too.). 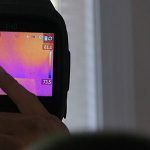 The assessment they perform gives you the current health and energy use of your home, and provides a clear plan for making improvements, with energy smart suggestions not selling. And depending on the needs of the home, there may be utility rebates and federal tax credits that can apply. 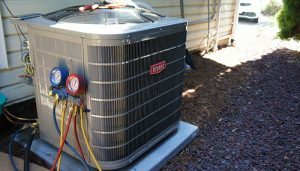 Washington Energy has already made improvements to hundreds of homes and has an A rating on Angies list for Home Energy Auditing. To get your $199 home energy assessment, call Washington Energy Services at 800-398-4663 or click today.